It all began with a request for a week off from work. Not long after Jared Malavolti was promoted to team leader at his hometown Chick-fil-A, he asked for time off to participate in a five-day relay run that would take him from Peoria, Ill., to Memphis, Tenn. – and back. His boss, Peoria Chick-fil-A Operator Jason Counselman, was intrigued. “I said, you need a whole week off to run a race?” he recalled. Malavolti explained that this wasn’t just a race – it was a fundraiser for St. Jude Children’s Research Hospital, a pediatric treatment and research facility for children with cancer and other life-threatening diseases. Malavolti’s older brother, Josh, had undergone treatment there as a teenager for embryonal rhabdomyosarcoma, a rare form of muscle cancer. “They saved his life,” Malavolti told Counselman. Now that Malavolti was 18 and old enough to participate in the run, he wanted to give back to the place that had helped his family so much. 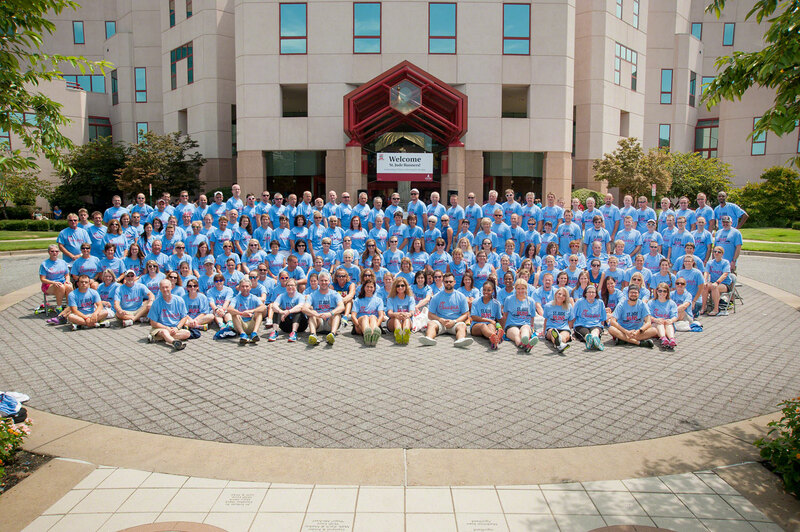 Launched in 1982, the annual run begins with a six-and-a-half hour drive to St. Jude’s headquarters in Memphis, Tenn. The next day, 200 runners start their 465-mile return by foot in a non-stop, relay-style event that takes them across state and county highways to end at the Peoria Civic Center in Illinois. Counselman agreed to give his team member the week off from work. But he didn’t stop there. The Chick-fil-A franchise Operator began a supportive alliance with St. Jude – one that he hopes will expand and endure for years to come. When that was over, Counselman still wanted to do more. He toured St. Jude’s Midwest affiliate clinic in Peoria and met with young cancer patients. Their positive attitudes impressed him, as did the hospital’s unique donor-based operating model, which allows all patients and their families to focus on strength and recovery, rather than worry about hefty medical bills. When he learned that Peoria holds an early morning send-off ceremony for the runners each year, he offered to provide a hot buffet of chicken and sausage biscuits, fruit and coffee before they set out for Memphis, Tenn. Five days later, he was at the finish line with a food truck and costumed Chick-fil-A Cows handing out chicken sandwiches to runners and their supporters. 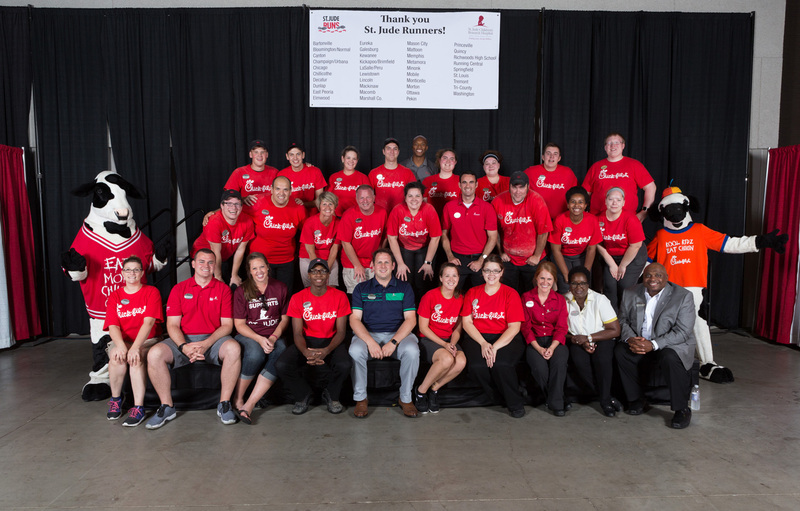 In 2016, he returned with more trucks and some friends to help: More Chick-fil-A restaurants had opened in the area and Counselman enlisted the Operators from the East Peoria, Springfield, and Normal locations to join him. 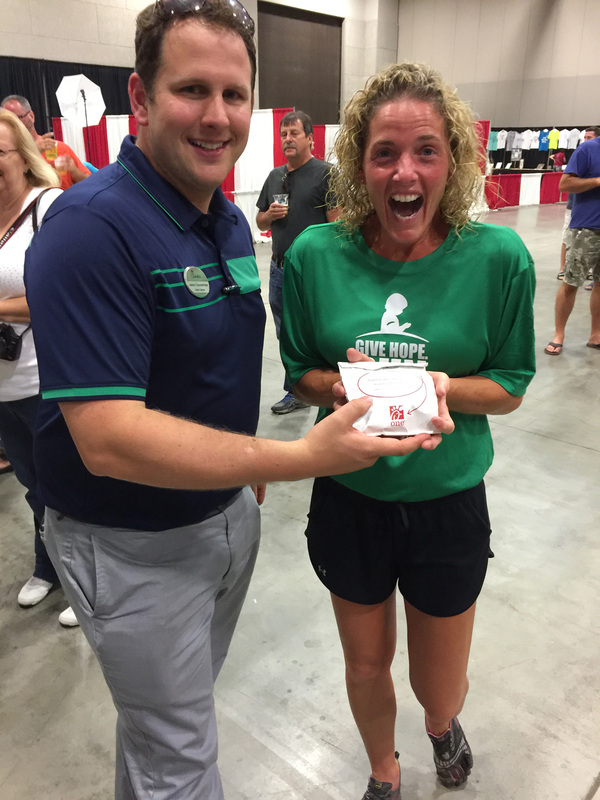 Counselman also led a “Cookies for Kids” campaign during the week of last year’s run that extended to all Central Illinois restaurants, donating all proceeds from chocolate chunk cookie sales that week to St. Jude. He estimates that more than 6,000 cookies were sold across the four stores. Since Malavolti's routine request for time off, Counselman estimates his restaurant has raised nearly $4,400 for St. Jude and provided more than $40,000 in food donations. He is set to receive the St. Jude Corporate Business Person of the Year award in Peoria on April 21. For the Malavolti brothers, the run also provides a unique opportunity to bond, despite an 11-year age difference. Jared Malavolti was only three when his big brother was diagnosed with cancer as a high-school freshman. Now a mechanical engineering major at Valparaiso University in Indiana, Jared Malavolti has completed two St. Jude runs and plans to lace up his sneakers again this July, with Josh Malavolti, now married and the father of twin boys, at his side. Counselman, for his part, is planning to once again to greet the Malavolti brothers at the finish line this summer.